Roland und ein Video von Gattobus machen Mut, dass es am 8.8.2018 ein neues vermutlich kostenloses Plugout für das System 8 gibt, nämlich den JX3P (JX03), es gab ihn ja schon als kleinen Boutique. 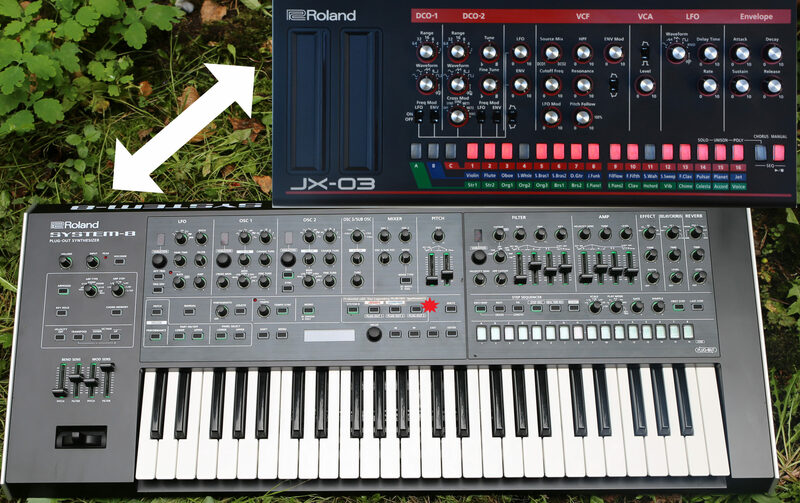 Roland will bring the last Plugout Slot filled by and with the JX3P Synth – already made and engineered as JX03 earlier (no longer available). 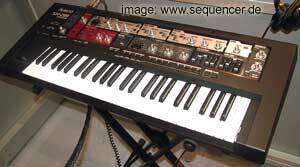 the Plugout will be free – aside those monophonic ones from the System 1 / 1m series, that worked fine on and in the System 8 as well – and they recently updated the OS and provided Juno and System 1 & Jupiter 8 filters to the System 8 and FM stuff to the oscillator already, so it makes a cool package.. I really love the System 100 and Promars, would really like and love to see a Jupiter 4, but it’s strongly sounding like the JX3P .. which is nice and smooth and fluffy, has one ADSR, no PWM but 2 OSCS and bidirectional Xmod and possibly Ringmod and the LFO Waves had been more than the original already, so maybe 2 ADSR-faders in the System 8 might be available in the plugout, .. since it’s there.. yes, it has 2 ADSRs für VCA and VCF as an option like the Juno and SH101 emulation – on the System 8.
also: TR8 and TR8S got a Step Loop Mode now. 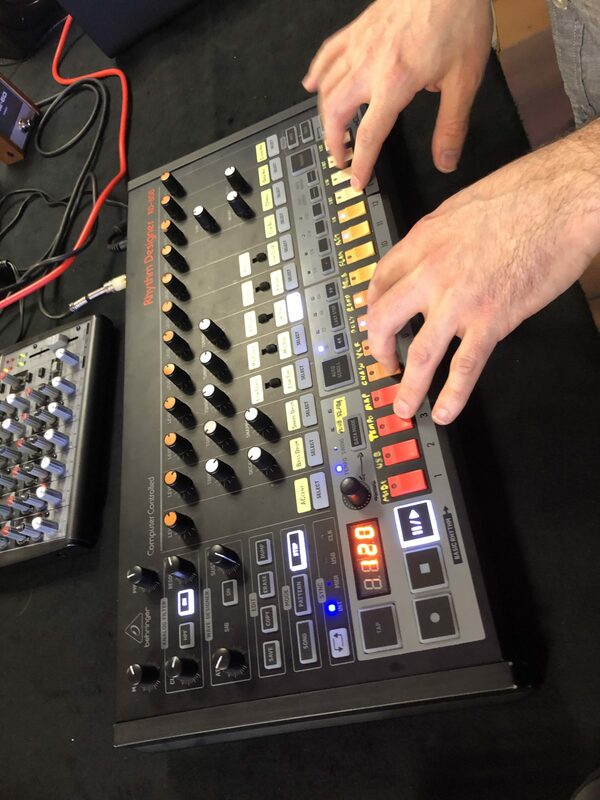 while – Behringer release their TR808 Clone with FX, Compressor und stuff – on that day since it is „808 day“ – well – don’t know when they will have the first batch in germany really available and buyable? but well – it’s a good alterantive actually .. RD808 is the official name of it and has quite some things to offer – cheap and good – sorry folks. if you are STILL into analog drums – this may be for you. if you are more new skool – go for a TR808s and upload your own samples ..